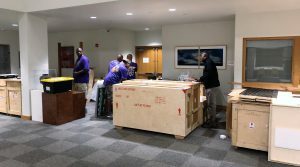 The first NEH on the Road exhibit to be displayed in Hawaiʻi will open with a flourish with a Monday evening reception featuring a welcome by retired State Circuit Court Judge Sandra A. Simms, a special dance performance, and speakers. 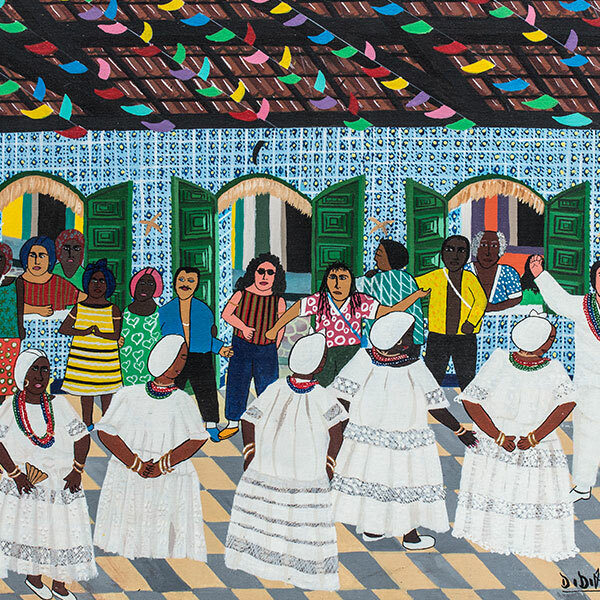 The Bandits & Heroes, Poets & Saints exhibit opens Monday in the James & Abigail Campbell Library, showcasing the vibrant contributions made by Africans to the rich culture found in the Northeast of Brazil. The exhibit, while focusing on the blending of culture of African slaves brought to work sugar plantations with that of indigenous and colonial populations, has a loose parallel to Hawaiʻi’s sugar era, when immigrants came to work plantations here. 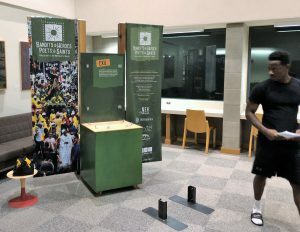 The exhibit showing also coincides with Black History month, with the showcase being brought to UH West Oʻahu with assistance from Hawaiʻi Chapter of The Links Inc., a non-profit group committed to enriching, sustaining and ensuring the culture and economic survival of African Americans and other persons of African ancestry. The National Endowment for the Humanities on the Road exhibit will be on display through March 16. The reception is open to students, faculty, staff, and the community and will begin at 7:20 p.m. with a welcoming oli from UH West Oʻahu’s Puʻu Zablan. He will be followed by a welcoming address by Judge Simms, who worked in Hawaiʻi’s legal community for decades before becoming the first African American female judge in the state in 1991. Dr. Paula Major, UH West Oʻahu associate professor of Elementary Education, will give remarks on purpose of the exhibit prior to a trio of dancers – Adela Chu, Cyle Polard, and Daphne Barbee-Wooten – performing a dance to Yemanja, the Afro-Brazilian goddess of the ocean. The ceremony will close with an address by UH West Oʻahu Assistant Professor of Public Administration Dr. Camonia Graham-Tutt, thanking partners who helped with the exhibit. Light snacks and refreshments sponsored by the Student Activity Fee Board will served. The opening will cap off a busy period for the library, which on Wednesday, Feb. 7, hosted a dedication ceremony for historically significant ceramic murals by noted Hawaiʻi artist Isami Enomoto that have been installed by the Center for Labor Education and Research on the second floor. The library continues to host another exhibit, “A Source of Light, Constant and Never-Fading,” an exhibition created by Ka ʻOhana o Kalaupapa, and written about by the Washington Post earlier this month. Tagged Adela Chu, African Americans, Bandits & Heroes, Brazil, Camonia Graham-Tutt, Cyle Polard, Daphne Barbee-Wooten, Hawaii Chapter of the Links, James & Abigail Campbell Library, Judge Sandra Simms, NEH on the Road, Paula Major, Poets & Saints, Puʻu Zablan, University of Hawaii West Oahu, www. Bookmark the permalink.